Do you have any product that might help keep rattlesnake weeds under control? We do. 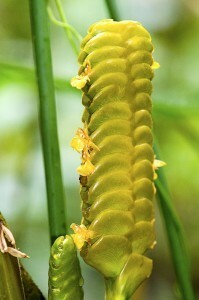 There are several species of weeds referred to as a rattlesnake weed; some acquired the nickname because they look like the rattle at the end of the tale. Others got the name because they can be used to create ointments used to help medicate rattlesnake bites. Around the yard, this weed can be tenacious but we have a few herbicides that can knock it out. The first is AMINE 2-4-D. Mix .75 oz per gallon of water and spot treat as need. Amine is safe to use over most any turf grass and ideally suited for mulch areas. Keep in mind it will kill any broadleaf plant so keep it off flowers and most shrubs. Thanks for your quick response, I had used this product last year but had forgotten the name. I am ordering a qt. asap. what type of lawn do you have? Wondering if this was good for centipede? The 2-4-D above will work on any kind of grass. But some hybrids, like centipede, can be injured so use it “gently”. This means that in general, its not recommended for broadcasting over the entire yard. In other words, Bentgrass or Fescue lawns can be safely treated when using this product over the entire lawn and not suffer. But with Centipede (especially in the middle of summer when its hot), you should limit your applications to spot treating weeds by directly spraying them. 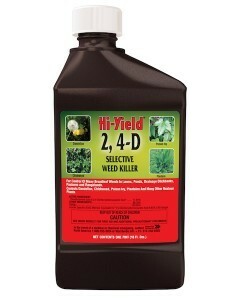 Spot treating weeds, when done properly, will only kill the bad weed and if done correctly, not damage the grass.